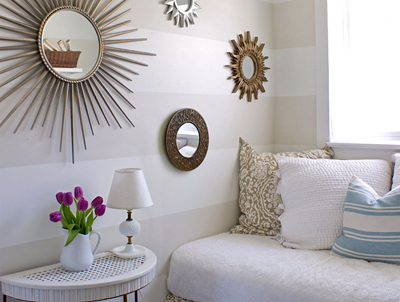 I've loved the idea of striped walls for at least a couple of years, and have been thinking of painting a striped wall in our living room, behind the tv. It's not the newest trend, but I'm not tired of it. In fact, I still really I love it. 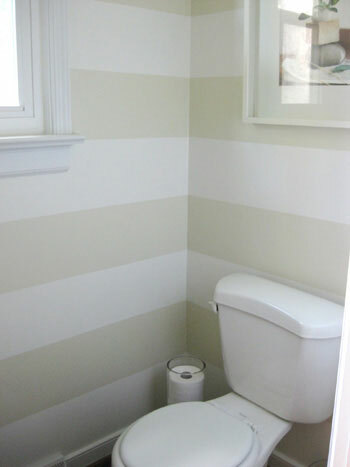 If anyone else has dipped their toe in painting stripes on the wall, let me know. Is it a little to daring for you, a little to trendy for you, or are you as tempted as I am?